A weekly newspaper has relaunched its three-year-old campaign to revitalise a city centre. 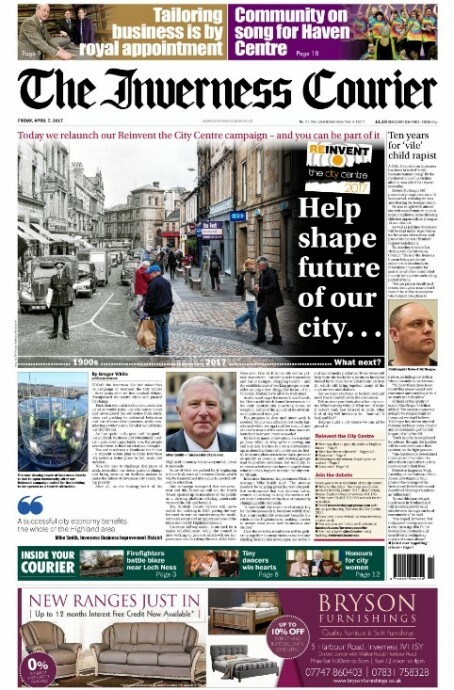 The Inverness Courier previously ran a ‘Reinvent the City Centre’ bid to help improve Inverness back in 2014. The campaign led to improvements to the city’s castle and railway station, among other things, after the Courier drew up a 12-point plan of action to improve its fortunes. Now the Courier hopes to inspire further improvement by asking readers to get in touch with ideas which will help form the basis for a business breakfast hosted by the paper next month. Courier staffer Gregor White wrote: “By its very name, reinvention is a constant process, which is why we’re renewing our call to action. Inverness Business Improvement District manager Mike Smith told the paper: “The process needs to be ongoing given the very competitive environment that has different urban centres all striving to keep themselves relevant and attractive in the face of constantly changing public demands.